At VetsHQ, we are veterans, and the sons and daughters and grandchildren of veterans. Our mission: Helping ensure America’s commitments to veterans and their families are honored. We believe in the independence, strength and motivation of veterans to take control of their future. That’s the philosophy and practice of VetsHQ and its unique self-directed service technology, built to assist all veterans and their beneficiaries in assessing what benefits they may receive. 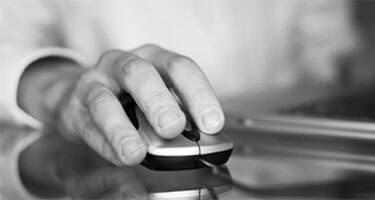 For veterans who are members of VetsHQ, it takes just 10 minutes online. Using DIVE™, veterans or their family members answer a series of questions about the veteran, including military service, and from this questionnaire DIVE™ assesses the benefits the veteran is likely to be eligible to receive in JUST 10 MINUTES. DIVE™ offers a simplified method of entering data one time and populating all applicable forms with one easy click. 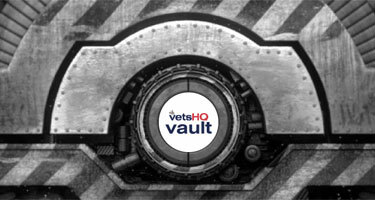 The VetsHQ Vault™ allows veterans to store all records and proof documents about their service, including medical records. Veterans may aggregate, retain, archive, search and employ their personal information safely for a host of veterans services — benefits, compensation, education, home loans and ownership, and employment searches. If the veteran chooses, DIVE™ can offer a simplified method of entering data one time and populating all applicable forms with one easy click. VetsHQ was developed to provide veterans with intelligence and technology to power their post-military life. Our team has years of experience and knowledge of federal rules and regulations and how to improve bureaucratic processes. And we’ve poured that experience and knowledge into our DIVE™ model for Benefits Assessment — at the heart of VetsHQ. Using DIVE™, veterans answer a simple series of questions about themselves, including military service, and from this front-end questionnaire, DIVE™ identifies the benefits and entitlements that the veteran is likely to be entitled to receive. Like popular online tax preparation services , DIVE™ offers a simplified method of entering data one time and populating all applicable forms with one easy click. Not only does this avoid the repetitive task of entering and reentering the same information — not to mention potential for error — it also uses that data to guide the veteran to those benefits likely to be a good match, given their personal service history and any supplemental information. Once DIVE™ assesses a potential match, the veteran sees an icon onscreen that informs them to complete additional specific sections of the questionnaire. DIVE™ includes sections for all major U.S. Department of Veterans Affairs-administered benefits, including home loans, compensation, life insurance, education, transition assistance, heath care and medical treatment, indemnity compensation, rehabilitation, survivor benefits, and burial benefits. We’ve heard stories time and again from veterans who say they were never properly told why a specific claim was denied by the VA, nor are they exactly sure always why they were approved for a specific benefit at a percentage less than 100 percent. 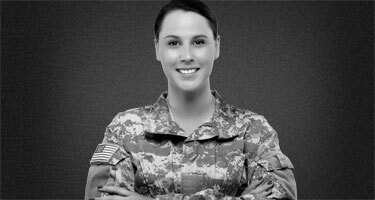 Our unique feature provides the veteran, the veteran’s family member or a veteran service officer with the rule designation for why they likely qualify for a specific benefit or why they may not qualify. And as federal rules and regulations surrounding veterans change, VetsHQ members can be assured that whenever they log into their account, they’re getting the latest, most accurate and best assessment they can receive. VetsHQ is an example of Avue’s dynamic, scalable interest-based digital communities, which are a new tack for the mobile, social and cloud era — designed to stand alone or integrate with existing technologies to serve new interaction models for consumer-facing platforms, internal processes and external connections. Avue platforms organize peer groups engaged in sharing, communicating and promoting those common interests, but also provide individuals within those groups the ability to accomplish tasks and goals within the community setting: More easily interact with their government to meet their needs. Access information. Find jobs. Etiam aliquam massa quis mauris sollicitudin commodo venenatis ligula commodo. Sed blandit convallis dignissim. Pellentesque pharetra velit eu velit elementum et convallis erat vulputate. Sed in nulla ut elit mollis posuere. Praesent a felis accumsan neque interdum molestie ut id massa. In hac habitasse platea dictumst. Nulla ut lorem ante. In convallis, felis eget consequat faucibus, mi diam consequat augue, quis porta nibh leo a massa. Sed quam nunc, vulputate vel imperdiet vel, aliquet sit amet risus. Maecenas nec tempus velit. Praesent gravida mi et mauris sollicitudin ultricies. Duis molestie quam sem, ac faucibus velit. Curabitur dolor dolor, fringilla vel fringilla tempor, ultricies sed tellus. Cras aliquet, nulla a feugiat adipiscing, mi enim ornare nisl.